We have been in business since 1986 and take pride in having satisfied over 10,000 residential and commercial clients. We have a stellar reputation throughout Riverside County built on our honesty, skill, and value, and are known for bring new life to all types of carpet, rugs, indoor and outdoor furniture, tile, and stone surfaces. Our family-owned and -operated company is one of the most reliable tile and carpet cleaning companies serving Temecula and Murrieta. We earned our certification from the IICRC, and have over 30 years of experience. By using professional-grade steam cleaning machines and superior-quality, non-toxic chemicals, as well as the industry's best cleaning and stain removal techniques, we are able to consistently achieve impressive results on almost every job we take on. In fact, we stand by the quality of our upholstery and carpet cleaning services with a four-week guarantee. If a spot or stain reappears or you notice the smell of mildew, we will immediately return to your home or business to fix it. Contact Rugs Royce Carpet, Tile, & Grout Cleaning today and receive a free estimate on our tile and grout, upholstery, and/or carpet cleaning services. Temecula and Murrieta property owners can usually schedule an appointment 24-48 hours if necessary, and can trust that we'll take care of everything, from moving all furniture to getting carpets and fabric as dry as possible before we leave. We're available 7 days a week and accept all major credit cards. We welcome jobs of all sizes and provide a 10% discount on carpet cleaning services in Temecula and Murrieta if we clean all the carpets in your home or business. We also offer a 10% discount on tile and grout cleaning if it's combined with our carpet cleaning service on the same visit. As an added bonus, if you use both our whole-home carpet cleaning package with our tile cleaning services for at least 200 square feet, you'll not only enjoy added savings, but also get a free jump house rental (a $500-600 value)! The jump house will be yours for a day of your choice, and we'll drop it off and pick it up. Call today to learn more. 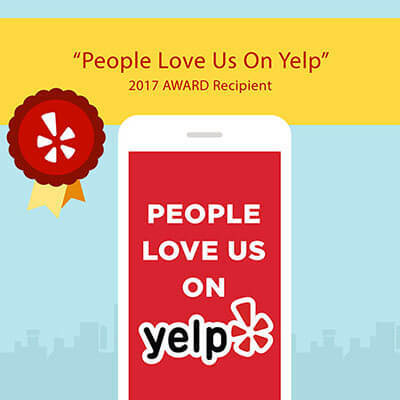 Join our thousands of satisfied customers who prefer Rugs Royce for all of their area rug and carpet cleaning needs in Temecula and Murrieta. We are IICRC certified and qualified to clean all types of area rugs and carpeting. With professional-grade steam cleaners and a variety of tools and attachments, we're able to quickly and effectively clean and sanitize carpeted stairways, hallways, closets, bathrooms, bedrooms, living rooms, offices, retail stores, and more. By using the industry's best steam cleaning machines, non-toxic cleaning solutions, and rug and carpet cleaning techniques, we're able to get even the most heavily soiled carpets and rugs thoroughly clean. We also have great success in removing a wide variety of stains, including wine, grease, dirt, coffee, and more. Unlike many other carpet and area rug cleaners serving Temecula and Murrieta, our carpet cleaning service includes stain removal as well as furniture moving. Additionally, all of our carpet cleaning services are backed by a four-week guarantee. To schedule your area rug or carpet cleaning service in Temecula or Murrieta, give us a call today for a free estimate. Since Rugs Royce is certified by IICRC, the leading association for the carpet and fabric cleaning industry, you can trust that we offer expert upholstery cleaning services. Temecula and Murrieta in Riverside County. We use the industry's best methods for cleaning upholstery and apply the right chemicals to remove pet, urine, grease, dirt, wine, coffee, and other common stains from indoor and outdoor furniture. By offering great prices, superior service, and exceptional results, we have thousands of satisfied clients and a loyal client base. Reach out to us today for a free estimate on our upholstery cleaning services available throughout Temecula and Murrieta. Rugs Royce Carpet, Tile, & Grout Cleaning provides experienced tile and grout cleaning services in Temecula and Murrieta at highly competitive prices. With over 10 years of experience, our team is skilled at cleaning all types of stone and ceramic tile as well as sanded and unsanded grout in kitchens, bathrooms, laundry rooms, and other areas. We can achieve spectacular results on even the toughest of jobs so that your tile and grout looks like new again. We use professional-grade machines and chemicals, and apply the proper cleaning solutions for the type of tile we're cleaning. In addition to our tile and grout cleaning service, we also offer our customers in Temecula and Murrieta high-quality tile sealing at a great price. We use the market's leading penetrating tile sealers and application techniques to protect tile from dirt and grime for about a month. To ensure lasting results, we'll also take the time to help customers understand which cleansers will best preserve their tile sealing. Call us today and schedule your tile and grout cleaning service with or without tile sealing in Temecula and Murrieta. Restore the look and luster of your travertine, marble, or granite by calling Rugs Royce Carpet, Tile & Grout. We deliver an excellent value on all of our marble, granite, and travertine restoration services in Temecula and Murrieta as we spectacular results, competitive prices, and exceptional customer service. We have an excellent track record for producing a beautiful finish on all kinds of natural stone surfaces, including floors, backsplashes, countertops, fireplaces, shower walls, and more. We comply with only the highest of industry standards, and never use harsh or acidic chemicals that can damage the stone. Instead, we use the market's best powder polishers to carefully restore your marble, granite, or limestone's original shiny or matte finish. Call us today at (951) 898-9182 for an estimate on our marble, travertine, or granite cleaning, honing, polishing, and restoration services.